Ruda offers the following facilities. Don't forget to pack your fishing gear! Ruda is an ideal base for a fishing holiday in Devon as there are fishing opportunities either on the park or close by. 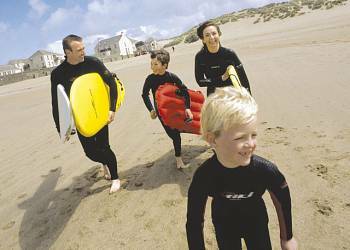 If you are looking to book a family holiday then Ruda could be the perfect answer. 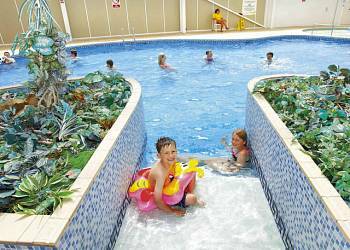 Ruda has a children's play area which is ideal for kids to burn off excess energy and make friends with the other children enjoying their Devon holiday. 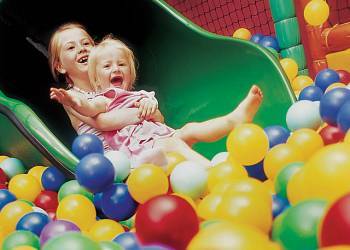 Enjoy a few hours in the games room at Ruda. When you book check out what games are available in the games room to make sure that your favourite games are available. The games room is an ideal way to spend a few hours what ever the weather. There is a food shop at Ruda. 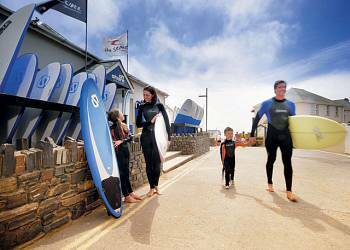 So there is no need to hunt for a shop in Croyde Bay or further afield around Devon for those daily essentials. Kentisbury Lodge  Four bedrooms  Sleeps 8  Luxury lodge with two doubles, both with ensuite shower and two twin all with flat screen TV and DVD. Bath with overhead shower. Dishwasher and washer/dryer. Double glazed and centrally heated. Early 1.30pm check in. Parracombe  Two bedrooms  Sleeps 4–6  New in 2016. 12ft-wide caravan with one double, with ensuite bath, and one twin. Shower. Additional sleeping for two in the lounge area. DVD. Double glazed and centrally heated. Verandah with outdoor furniture. Trimstone  Three bedrooms  Sleeps 6–8  New in 2016. 12ft-wide caravan with one double, with ensuite WC and two twin. Shower. Additional sleeping for two in the lounge area. Freeview/DVD and soundbar. Double glazed and centrally heated. Verandah with outdoor furniture. Buckland  Three bedrooms  Sleeps 6–8  New in 2016. 12ft-wide caravan with one double and two twin. Shower. Additional sleeping for two in the lounge area. Freeview/DVD and soundbar. Double glazed and centrally heated. Atlantic Apartment  Three bedrooms  Sleeps 6–8  Spacious apartment with one double and two twin. Bath with overhead shower. Additional sleeping for two in the lounge area. DVD/CD. Dishwasher and washer/dryer. Double glazed and centrally heated. Verandah. Apartments have exclusive use of a private indoor swimming pool, sauna, spa bath, sunbathing terrace and barbecue area. Pippacott  Three bedrooms  Sleeps 6–8  New in 2017. 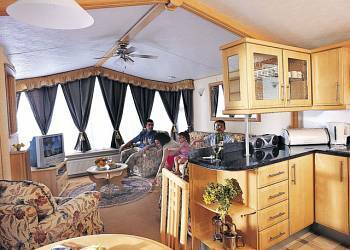 Comfortable 12ft-wide caravan with one double and two twin. Shower. Additional WC. Additional sleeping for two in the lounge area. Freeview/DVD and soundbar. Double glazed and centrally heated. Yelland WF  Two bedrooms  Sleeps 4–5  New in 2017. 12ft-wide caravan with two twin. Shower. Additional sleeping for one in the lounge area. Freeview/DVD and soundbar. Double glazed and centrally heated. 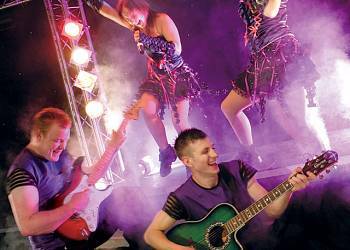 Suitable for parties including visitors with partial disabilities – please check when booking. Heanton Lodge  Three bedrooms  Sleeps 6  Luxury lodge with one double with ensuite shower and two twin. DVD. Dishwasher and washer/dryer. Double glazed and centrally heated. Verandah with outdoor furniture. Lundy House  Six bedrooms  Sleeps 13  Traditional style house with modern decor. Three double, one family room with one double and two single, one with bunks, and one single bedroom. Two bathrooms. Dishwasher and washer/dryer. Two lounges. Double glazed and centrally heated. 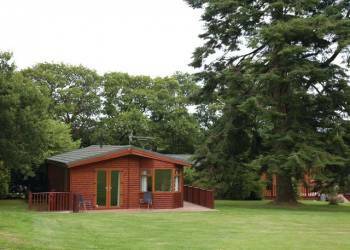 Rosemoor Lodge  Three bedrooms  Sleeps 6–8  Lodge with one double and two twin. Bath with overhead shower. Additional sleeping for two in the lounge area. DVD/CD. Dishwasher and washer/dryer. Double glazed and centrally heated. Verandah. Beachside Apartment  Two bedrooms  Sleeps 4–6  Ground or first floor spacious apartment with one double and one twin. Bath with overhead shower. Additional sleeping for two in the lounge area. DVD/CD. Dishwasher and washer/dryer. Verandah with outdoor furniture. Apartments have exclusive use of a private indoor swimming pool, sauna, spa bath, sunbathing terrace and barbecue area. 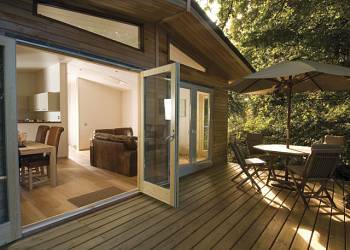 Clovelly Lodge  Three bedrooms  Sleeps 6  Luxury lodge with one double and two twin. Bath with overhead shower. DVD/CD. Dishwasher and washer/dryer. Double glazed and centrally heated. Verandah. Braunton  Three bedrooms  Sleeps 6–8  12ft-wide caravan with one double and two twin. Shower. Additional sleeping for two in the lounge area. DVD/CD. Double glazed and centrally heated. Torrington  Two bedrooms  Sleeps 4–6  12ft-wide caravan with one double and one twin. Shower. Additional sleeping for two in the lounge area. DVD/CD. Double glazed and centrally heated. Torrington WF  Two bedrooms  Sleeps 4–5  12ft-wide caravan with two twin. Shower. Additional sleeping for one in the lounge area. Double glazed and centrally heated. 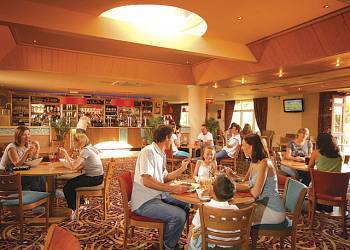 Suitable for parties including visitors with partial disabilities – please check when booking. Instow  Three bedrooms  Sleeps 6–8  12ft-wide caravan with one double and two twin. Shower. Additional sleeping for two in the lounge area. DVD/CD. Heating in bedrooms. Bideford  Three bedrooms  Sleeps 6–8  12ft-wide caravan with one double with ensuite WC and two twin. Shower. Additional sleeping for two in the lounge area. DVD. Double glazed and centrally heated. Verandah. Pickwell  Three bedrooms  Sleeps 6–8  12ft-wide caravan offering the very latest in comfort with one double and two twin. Shower. Additional sleeping for two in the lounge area. DVD/CD. Double glazed and centrally heated. 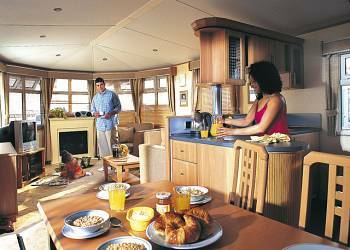 Westleigh  Three bedrooms  Sleeps 6–8  Caravan offering the very latest in comfort, with a central lounge. One double with ensuite shower and two twin. Shower. Additional sleeping for two in the lounge area. DVD/CD. Washer/dryer. Double glazed and centrally heated. 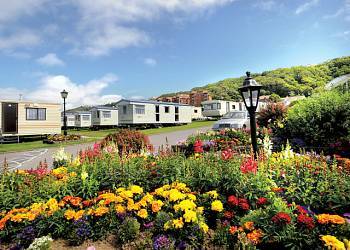 Lynton  Three bedrooms  Sleeps 6–8  12ft-wide caravan offering the very latest in comfort. One double and two twin. Shower. Additional sleeping for two in the lounge area. DVD/CD. Double glazed and centrally heated. 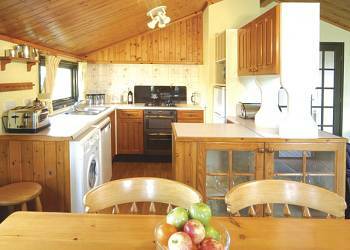 Marwood  Two bedrooms  Sleeps 4–6  12ft-wide caravan with one double and one twin. Shower. Additional sleeping for two in the lounge area. DVD/CD. Double glazed and centrally heated. Mortehoe  Two bedrooms  Sleeps 4–6  12ft-wide extremely spacious caravan with one double and one twin. Shower. Additional sleeping for two in the lounge area. DVD/CD. Double glazed and centrally heated. Verandah. Parkham  Three bedrooms  Sleeps 6–8  12ft-wide caravan offering the very latest in comfort with one double and two twin. Shower. Additional sleeping for two in the lounge area. Freeview with DVD/CD. Washer/dryer. Double glazed and centrally heated. Verandah with outdoor furniture. Winsham  Three bedrooms  Sleeps 6–8  12ft-wide caravan with one double and two twin. Shower. Additional sleeping for two in the lounge area. DVD/CD. Double glazed and centrally heated. Lundy Cottage  Three bedrooms  Sleeps 6  Cottage with one double, one twin and one with bunks. DVD/CD. Dishwasher and washer/dryer. Double glazed and centrally heated. Lounge and kitchen/dining area. Georgeham Lodge  Three bedrooms  Sleeps 6  Luxury lodge with one master double with ensuite shower and two twin all with flat screen TV and DVD. Bath with overhead shower. Open plan lounge/kitchen/dining area. DVD/CD with Bluetooth soundbar. Dishwasher, fridge and freezer, Krups espresso machine and washer/dryer. Double glazed and centrally heated. Verandah with outdoor furniture. Early 1.30pm check in. Harracott Lodge  Four bedrooms  Sleeps 8  Luxury and contemporary lodge with two double, both with ensuite shower and two twin all with flat screen TV and DVD. Bath with overhead shower. Blu-ray DVD and Bluetooth soundbar. Dishwasher, Krups espresso machine and washer/dryer. Double glazed and centrally heated. Verandah with outdoor furniture. Early 1.30pm check in. We have 150 reviews for Ruda. A random selection of 3 are shown for your information. Refresh the page to get another 3 reviews to show. 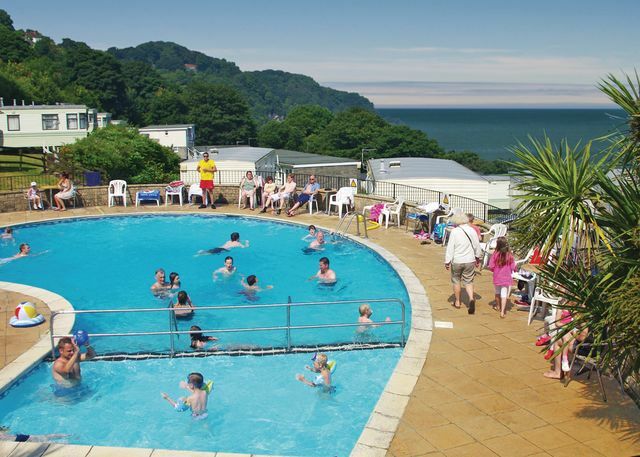 The accommodation and the location were excellent and its just a short stroll to the beach and facilities, fantastic for families! If you want to have a nice relaxing and chilled out holiday then I think this is for you. We were very pleased with the overall site appearance and park facilities. 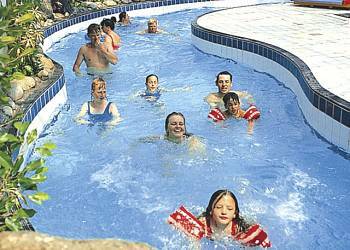 Very good if you have young children as the pool was perfect for them, even young babies and toddlers. 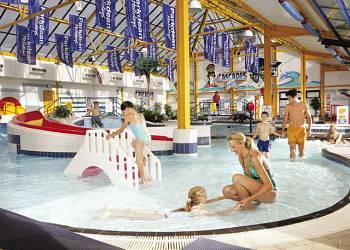 This is the perfect location for a family holiday. We would definitely consider returning in the future as the children loved the beach and the facilities on the site were very good. Overall, a memorable holiday and very enjoyable. 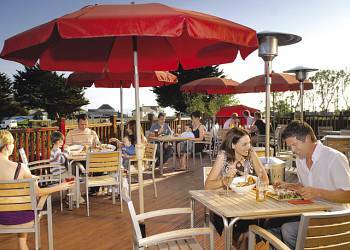 Have you been to Ruda? Please share your views with others who are considering staying at Ruda so that they can benefit from your experience and get the best from their holidays. Important note: Information provided here about Ruda is based on our best knowledge. However, please check with Ruda before booking to ensure that you have the information required. Reviews are the sole views of the contributor and do not necessarily represent the views of gocaravannung.com or Ruda.